Protecting children in our community is an important part of the Just Play Programme. 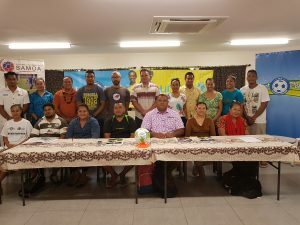 Fourteen schools held mini festivals within their communities as part of the Just Play Curriculum to celebrate one of four objectives of the program which is Child Protection. During the past four weeks the children learned messages from their Just Play coaches under the themes of protecting yourself; Beware of your surroundings, Walk with a friend and protecting each other in addition boys and girls will be offered tips for looking after themselves. Just Play is a sport for social development programme designed to target children aged 6-12 years. It also teaches the children to learn and grow and explore sports in a positive and meaningful way. Before implementing Just Play sessions, it is compulsory that all Just Play teachers/volunteers carefully read, understand and sign the child protection policy and the code of conduct. 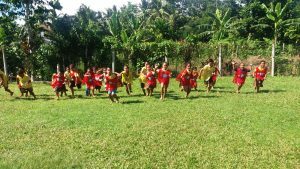 Just Play was implemented in the Pacific in 2009 and was introduced in Samoa in 2011. From one of the four core objectives of Just Play, Child Protection section was used as the theme for the day. After four weeks of monitoring and evaluation fourteen Primary schools from Siumu Falealili and Aana 1 & 2 districts conducted festivals within their designated schools. 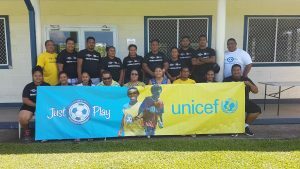 According to Just Play Project manager Lynette Fa’aiuaso, she believes that her program provides a safe environment for the children. “We need to ensure that children will be provided with a safe environment to play and while carrying out fun and engaging activities it is important to explain to children to protect themselves, not talk to strangers, be aware of their surroundings, observe and listen, seek out help when needed – find an adult or person you can trust and speak to them problems and avoid dangerous situations” she said. As part of monitoring and evaluation Just Play focused on promoting healthy lifesty les, gender equality, and social inclusion. Just Play is managed by the Oceania Football Confederation with the support from the Australian Government, the New Zealand Government, the Australian Football Federation, UNICEF and the Union of European Football Association through the UEFA Foundation for children.